Your husband is awesome and you want a Christmas gift that let’s him know just how much you appreciate him. He gives the best advice (even when it isn’t exactly what you want to hear). He’s always there when you need him. But he doesn’t really need anything. Let’s face it, husbands usually get the short end of the stick when it comes to gifts – a tie, coffee mug, shirt (yawn). 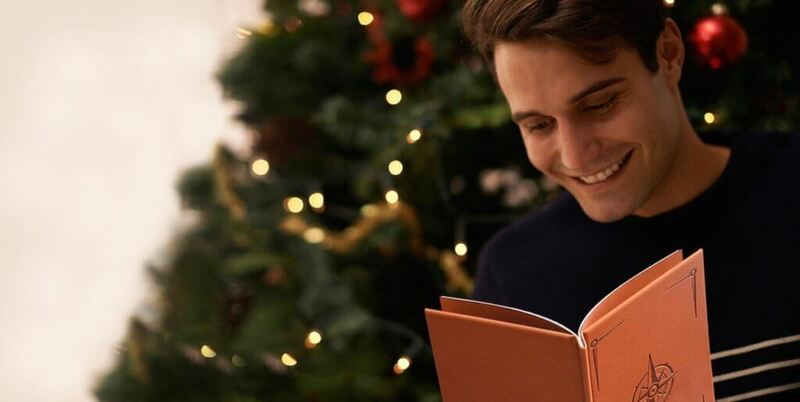 Let us help YOU create the perfect Christmas gift for the husband who has everything! Create a One of a Kind Christmas Gift for your Husband! This Christmas, give your husband something that will blow him away and touch his heart like no other gift. Give him a Heartfelt Book that expresses, in your own words, how much you appreciate him and the special memories you have shared. Nothing would please him more because every man wants to know that he has made a difference in the lives of those he loves. Lucky for you, creating a Heartfelt Book is easy, fast and fun to create! Our process allows you to choose questions and exercises that best fit your relationship. We even give helpful suggestions along the way. You can add photos, poems/quotes or even blank pages with your own text. Once you have a minimum of 18 entries, we publish your answers in a beautiful, classic, hardbound book! This is truly the best Christmas gift for the husband who has everything. I know what you are thinking…I don’t have a lot of time! Most people finish their Heartfelt Books in less than an hour. Sure, you can take longer, and put in as much time as you need, working at your own pace from any device. But even sweet and simple sentiments are HUGE! Why? Because everyone wants to hear that they matter, that they have made a difference and they are loved and appreciated. Especially your Husband. This truly is the perfect Christmas gift for the husband who has everything. Best of all, a Heartfelt Book is a lasting gift he will read again and again. Better than a text or card, a Heartfelt Book will be a treasured keepsake. I presented him with the book for our anniversary and he loved it so much! He actually started to cry! We had a wonderful walk down memory lane reading it together. – Joanna P.
This year, don’t settle for a traditional store bought Christmas gift that your husband won’t even use or remember. Give him an awesome gift this year that expresses what is in your heart – give him a Heartfelt Book!